It's holiday time! Have you started getting ready to celebrate the season? One of the ways we celebrate is with a few special treats that I don't usually make during other times of the year. 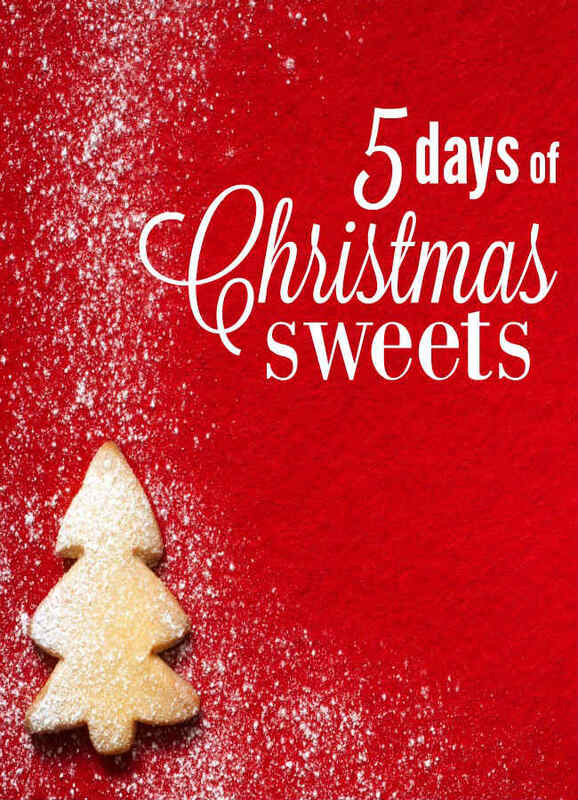 This week I'll be sharing a selection of our family's favorite Christmas sweets. I used to spend lots of time in the kitchen during the holiday season - baking and mixing up goodies. I love to make Christmas tins to give to friends and family. I've cut back in recent years and now I just make our absolute favorite things - sweets that I don't make any other time of the year. They've become our special treats that we have during the holiday season. Now I make a few big batches of cinnamon rolls that we share with family and friends and just a few of our favorite treats for home. We can still enjoy a few treats, but we don't have a houseful of sugary sweets that we don't need. Part of the specialness of the holiday season is the time spent together cooking and baking. I have very fond memories of making chocolates with my family and friends when I was growing up. Those special moments together are some of my most favorite Christmas memories. Now that I'm married with my own family, that time spent cooking together and sharing our favorite sweets are still a part of our holiday tradition. It's one small way I can feel connected to my family even though we may not be together during the Christmas season. This week I'll be sharing our favorite Christmas sweets - we make them every year to eat and to share with friends. Peanut Blossom Cookies - these are one of my favorites. I love the combination of peanut butter and chocolate and these cookies are just perfect! Just be sure not to overbake them - they are lovely and soft when baked for just the right amount of time. Easy Caramel Fudge - I am no fudge expert, but this is the easiest fudge recipe I have ever made. Just a few simple ingredients, a baking dish, and a microwave. And it's really, really good! Peppermint Patties - these treats are requested every year by my husband and daughter (and quite a few friends as well). It makes a huge batch so you'll have plenty to share! Peanut Butter Bars - this one is another favorite of mine (I really do love the combination of peanut butter and chocolate). It's my lazy version of peanut butter balls or Buckeye balls. Instead of rolling them out and dipping in chocolate, I just put it all in a pan and cut it into squares. Yummy! Homemade Cream Puffs - what many consider a 'fancy' dessert is actually fairly easy to make. The dough comes together quickly and the only real work involved is piping out the puffs. Thankfully, this dough is sturdy so it's a great cooking project to work on with your kids. Do you have any special recipes that you save for the holidays? Leave me a comment and let me know about your favorite Christmas sweets!